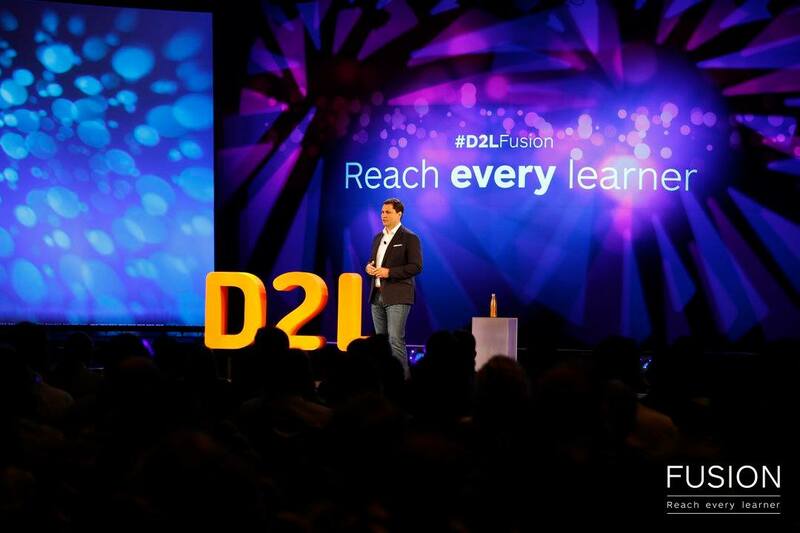 D2L’s annual FUSION conference (Reach Every Learner) for its customers was held July 19-20 in Las Vegas. This is a summary of the key take-aways for higher education faculty and support staff with a focus on Brightspace (D2L’s learning environment). By far the best work that D2L has done in the past year is on Daylight (for its Brightspace Learning Environment), the new responsive design interface geared to provide a consistent experience regardless of device, screen size or technology being used. All of the new features and functions introduced at FUSION were built within the Daylight platform and as such D2L encourages all customers to move to the new interface as soon as they are able. Early adopters moved to Daylight late last year with more flipping over this spring (like Vancouver Island University). Many more institutions are making the move in August 2017 for starting the school year with the new platform. Remaining institutions have a little over a year to change to Daylight before it becomes the only platform D2L will support. The great news about Daylight is that it is a game changer for those on mobile devices. Students and faculty members will be able to conduct teaching and learning activities with greater ease as the mobile site is the same as the desktop version. The investment D2L has done into one robust platform – that works on any device, screen size or age of technology – is a huge win for all! A summary of key features as interpreted by Vancouver Island University is captured in a blog post here. Pulse is a worthy app. We heard from my institutions at FUSION that students really like this app. Available for Android and iOS devices, the Brightspace Pulse App allows students to check their upcoming readings, assignments and tests to see what is needing their attention. It brings a lot of key pieces of information from students courses together in one spot so they can organize their time better and focus on learning. New for 2017, is the ability to have offline access to download content even when there isn’t any reception. Overall, this app helps students with time management and keeping up to date with course activities and news. The short video below highlights key features. Instructors: Share with your students while ensuring you are adding notifications, news, updates and calendar items to help make Pulse a useful tool for student learning. For many faculty, being able to shuffle the order of quiz questions is a must! Often requested to discourage cheating, shuffling quiz questions at the quiz level (rather than section level) is now a great new feature that will make it easier for faculty to use. Now one click (versus a previous 17 clicks), shuffling quiz questions is here! Check out video below! Ensuring learning materials are accessible for all learners should be top of mind for all instructors. However, not everyone knows the ins and outs of ensuring content is designed so it is accessible to all learners (particularly according to web-accessible standards). D2L has created a little checker for each page of content to alert you to the items that need enhancement, updating or alterations. Check out the video below to learn more! 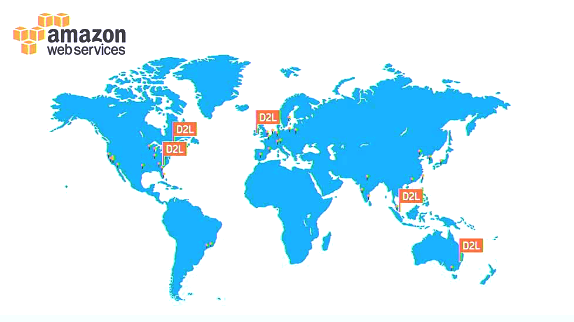 Last October, D2L entered into a partnership with Amazon Web Services (AWS) as their global cloud provider and as such is moving all of its cloud hosted clients to a regional data centre run by AWS (currently 18 regions in the world identified each hosting a data centre or collection of servers). For D2L, this means that they make the choice where their clients’ data lives and not AWS. For Canadians, this means moving all the Toronto data centre hosted D2L customers to the newly built Montreal data centre sometime within the next year. AWS currently supports 7000 educational institutions out of its 1 million customers. Amazon is also ensuring all data stays in the data centre region and does not get copied and moved around to other data centres. Amazon has set itself with high security standards for the industry and complies with protected data standards. This is particularly important for student data to be safe, private and secure. See D2L blog post for more details. D2L is giving its customers better and free access to its data. The Data Hub (including the data sets) is now part of the Brightspace Learning Environment Core package. This means that institutions will get access to almost 50 category-based data sets. In this way, they are hoping that customers have the information at their fingertips to make decisions for their institutions – including visualizations of data and raw data. D2L has an integrated video assignment tool created by a company called, YouSeeU. More information is on this page https://www.d2l.com/products/video-assignments/ and at the video below. Some components come free with the learning environment, but some components/extended features are part of a premium version for an additional cost. 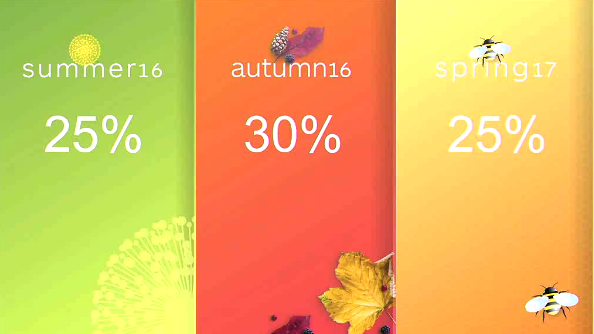 For Canadian customers, 100% of content is being saved and stored on the Montreal Amazon Web Services data centre. Just like many other web conferencing tools (but better integrated into D2L’s Brightspace learning environment), virtual classroom is also provided by the technology developed at YouSeeU. More information is on this page: https://www.d2l.com/products/virtual-classrooms/. Like the video assignments, some tools are free and some features are at an extra cost. For Canadian customers, 100% of content is being saved and stored on the Montreal Amazon Web Services data centre. D2L has released its Activity Feed tool that acts as a social hub on the course home page for teachers and students to communicate about reminders. Possibly geared more to the K-12 market (and parents) I am not going to focus on it much here as it is still in its earlier stages of development. It could have potential for higher ed to engage students and instructors, but there is a bit more work to be done with it. 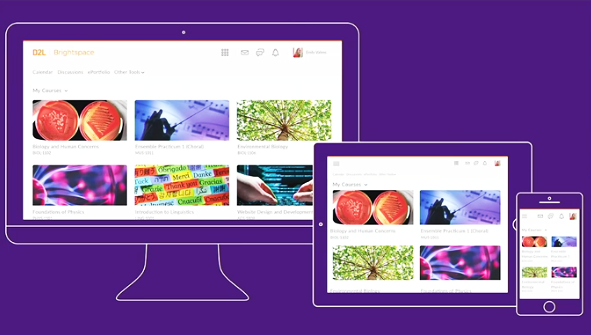 Check out the Brightspace Community discussion area on Activity Feed for more information. D2L reminded everyone that each quarterly release of the latest version to Brightspace learning environment often includes around 25% of the ideas that come from user feedback. Thank you for sharing this outstanding recap!